When you are in cosmetic business, the journey can be sensational, worthwhile and little confusing. You have to offer the best products to get the deserved recognition. You must deliver good-quality products and at the same time identify your place in the market. To be on the top, you must have to stand out among other competitive brands. You should always try to find new ways to make your brand noticeable, trustable, and passed on. A wow customer experience is must to market your beauty products to its fullest. Companies today rely on packaging to get most out of the product. Best way to showcase your brand and to excite your customers is custom packaging. Packaging is essential for all beauty products. But products that have more selling factor or more popular among customers' needs special packaging. 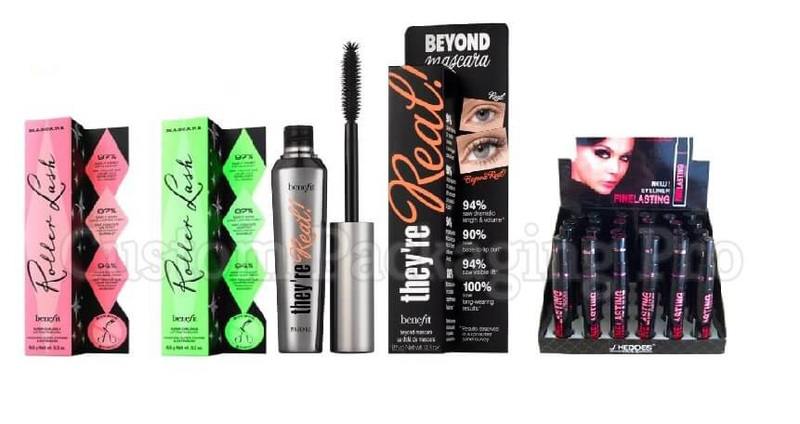 Mascara is one of these items. It is a must element among all cosmetic products, and you cannot ignore it. It is important not to overlook the importance of mascara in flawless eye makeup. So, you have to focus on the quality of mascara and its packaging as well. When you want an appropriate packaging with cost-effectiveness, there is no better option other than custom boxes. Custom Box that you are going to use for your mascara product depends on many factors. It includes the size, design, material of the product and most importantly how delicate your product is. The market is full of various options. So, be creative and choose box shape, colors, and visual appearance according to the product. For starting, company name, logo and call-to-action is enough to make your name in the market. After choosing the right custom box, it is necessary to create an eye-catching and appealing design. Try to keep it simple and invest wisely in design. Designing is beyond than just a logo or an image. It would be good to focus on darker, more feminine and funky design for your mascara products. Try to merge design with your brand message and style. The outer appeal, inside looks, touch& feel, and unboxing are essential factors to consider while choosing the best design. Manufacturers use various kinds of materials determine which suits best for the product. Most common boxes used for several products are cardboard boxes. Other than this, three more boxes are available for your product. Kraft Boxes are the cheapest of all, but if you are looking for attractive visual appeal white king is best. Last but not least semi white boxes offer the best quality at some additional cost. Choosing the wrong box size is the most common mistake. Best is to pick the smallest possible package for your mascara boxes. By selecting the large size box than product size not only cost you extra but also can damage the product. Size of the box can affect your budget. Size of custom mascara box depends upon dimensions, weight, and needed free space. Remember, size of the box can also influence your shipping cost. After choosing the right size and design, it's time to select printing style for your custom mascara boxes. Three main printing methods are available that you can use. Prices for each printing technique may vary depending on the manufacturer. Most common is offset printing used in retail; it mounts your print design on the box. A good solution for smaller orders is digital printing; it works same as the laser printer. Looking for high-quality design screen printing can help you. It is like applying paint to a mesh screen. Don't overlook the importance of inner packaging. Inside of the custom mascara box is as vital as outside. How your custom box protects and presents, the product can influence your customers. Arrange your product nicely. Consider adding a personal note which can be of thank you or any other greeting. You can also use a filling of paper or bubble wrap. Also, you can add some protection inserts for delicate items. Keep it friendly and straightforward yet witty. 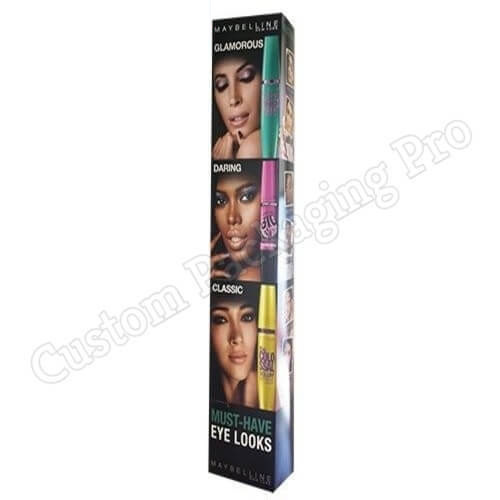 Get high-quality custom mascara boxes from Custom Packaging Pro. We provide high quality and fastest turnaround time. Make your product stand out from the crowd with us.